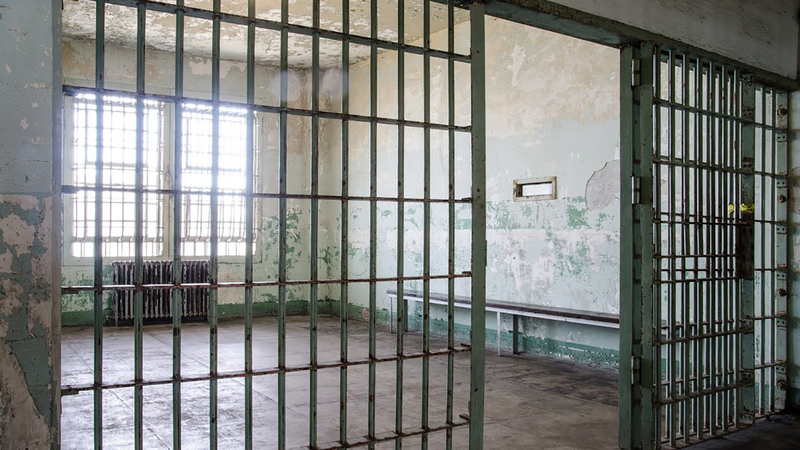 Due to an incoming and highly anticipated art exhibit, Alcatraz prison may be harder to get into than out of this fall. Sure, seats are always hard to get on the Alcatraz Cruises ferry, despite the 17 departures a day from Pier 33 in San Francisco. But empty seats may become an even scarcer commodity come Sept. 27, when an installation by art superstar Ai Weiwei opens on the island. Workers will begin assembling @Large: Ai Weiwei on Alcatraz in buildings that are part of the old military and federal prison in late August. It’s a perfect venue for an artist who has riled government officials in Beijing to the point of his own imprisonment. Denise Rasmussen, the director of sales and marketing for Alcatraz Cruises, says visitors who want to reserve tickets can take advantage of a few good tricks. To start with, she says, “buy your tickets early.” The Alcatraz Cruises website will begin offering seats on the island ferry a rolling 90 days in advance, starting on June 27. About 1.4 million people visit Alcatraz every year—filling the boats to 95 percent capacity, but the exhibit will run from late September until late April, and Rasmussen says the crowds thin out considerably during the cold, rainy weeks of early winter. “When we really have a lot of availability," Rasmussen says, “is the first two weeks of November, and then the first two weeks of December, the last 3 weeks of January, and pretty much all of February.” Rasmussen says boats are often less than half full in February. Once they’re on the island, visitors will have access to parts of the old federal prison that are normally off limits to the public. Cheryl Haines, executive director for the For-Site Foundation and curator for @Large, says Ai Weiwei’s mix of sculpture, sound and mixed-media works will fill the New Industries Building, where “privileged” inmates could work for pay; the prison hospital, including the psychiatric wards; and the small A Block of cells that date to Alcatraz’s use as a military prison for enemies of the state and conscientious objectors. Haines says Alcatraz is made to order for a conceptual artist like Ai Weiwei, who’s art often examines the power of the state to censor speech and limit the freedom of its citizens. 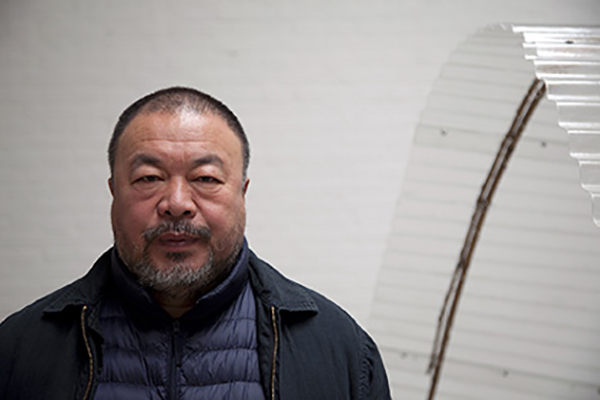 The commission will cost more than $3 million in materials and other expenses, but Haines says Ai Weiwei is not taking any fee for his work. 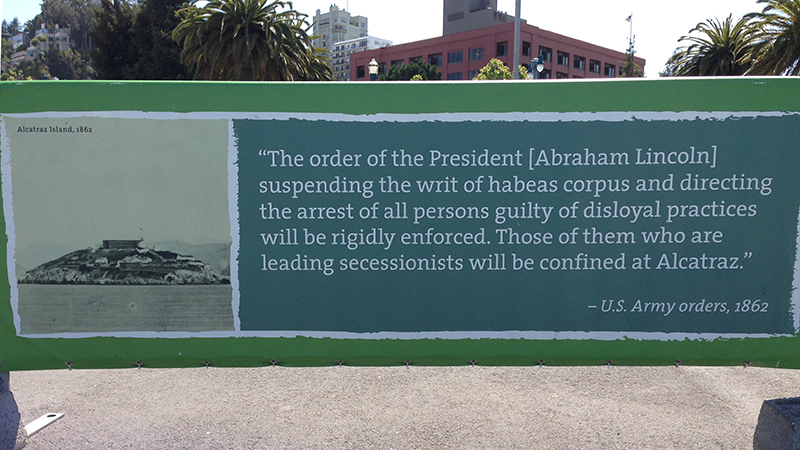 Haines has curated other shows in the Golden Gate National Recreation Area (GGNRA), which manages Alcatraz. She says the GGNRA and its parent agency, the National Parks Service, have been model partners, despite the potential for controversy. “They’ve been utterly open about trusting the artist and working the site in a way that will encourage visitors to understand deeper issues, issues of detainment, issues of prisoners of conscience, and the need for basic human rights internationally,” said Haines. What happens if the artist comments on the US detention of prisoners at Guantanamo, or the National Security Agency’s eavesdropping policies? Because Ai Weiwei can’t travel, curator Haines has made five trips to Beijing to provide him with videos, maps and diagrams of the island as a guide for his installation. I asked her if she knows what he’s making. She said she does but she can't tell. Tickets for @Large: Ai Weiwei on Alcatraz go on sale June 27. For tickets and more information, visit www.alcatrazcruises.com.